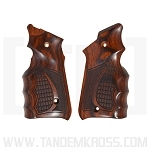 Get the best Ruger® MKIV™ wood grips from Altamont Company, one of the best Ruger® MKIV™ upgrades available from TANDEMKROSS. The new Ruger® MKIV™ .22 rimfire pistol is quickly growing in popularity for its one-button takedown, ambidextrous safety and other features. 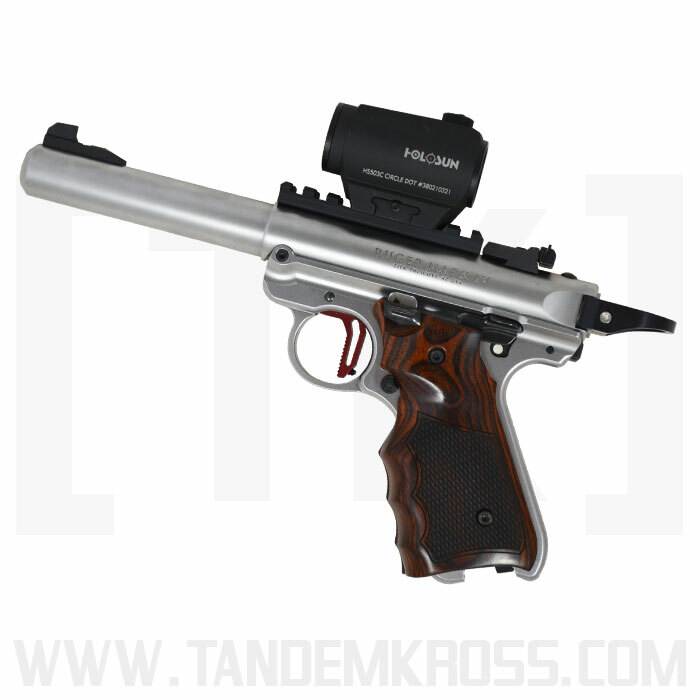 But for competitive and recreational shooters alike, improving the pistol’s grip can make this gun truly great! 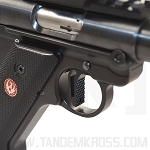 The new Ruger® MKIV™ grips from Altamont Company. 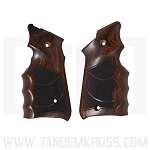 These MKIV™ grips are not only designed with beautiful, dark wood, they are also functional, providing a highly textured surface and improved grip shape for target shooting and other shooting sports. These checkered grips from Altamont Company feature highly textured wood panels for a better grip surface in any weather condition. These drop-in grips are easy to install using the factory grip screws and simply replace the factory grip panels - one of the best Ruger® MKIV™ accessories! 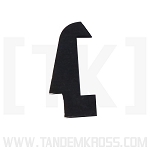 Please note: these grips fit the MKIV™ Hunter and MKIV™ Target only. 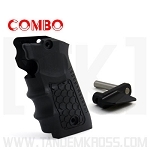 They will not fit the MKIV™ 22/45™ LITE. 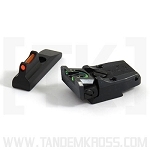 *Please note: The "Titan" Extended Magazine Release round button is compatible with MKIV™ Altamont wood grips. 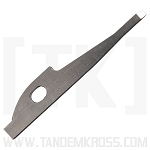 The paddle style button will not work with the wood grips. WARNING: This product can expose you to chemicals including formaldehyde, which is known to the State of California to cause cancer. For more information go to www.P65Warnings.ca.gov. 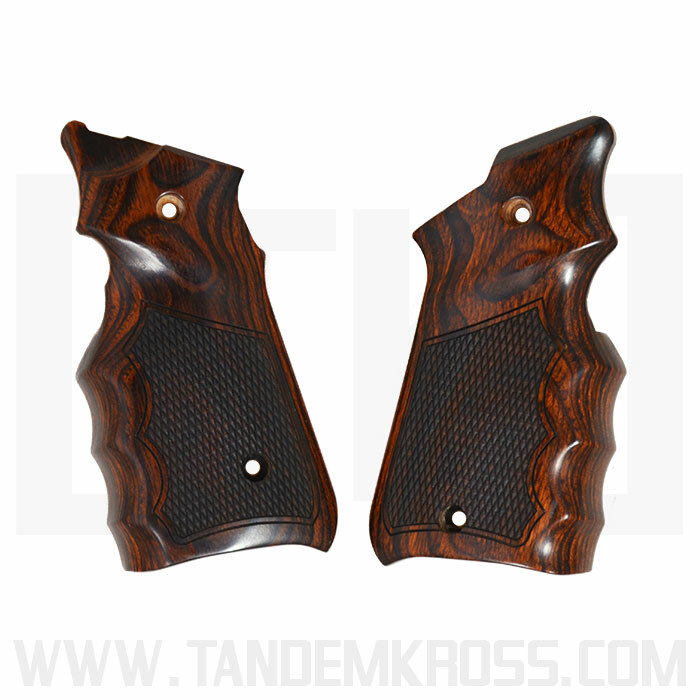 i found these grips to be flawless in terms of both looks and fit. The checkering was perfect and the finger grooves were just what I was looking for. Installation was quick and easy using the original factory screws. Two dowels at the front of the grips insure proper alignment between the two pieces. There was no interference with controls and no problems with the locations of the holes. 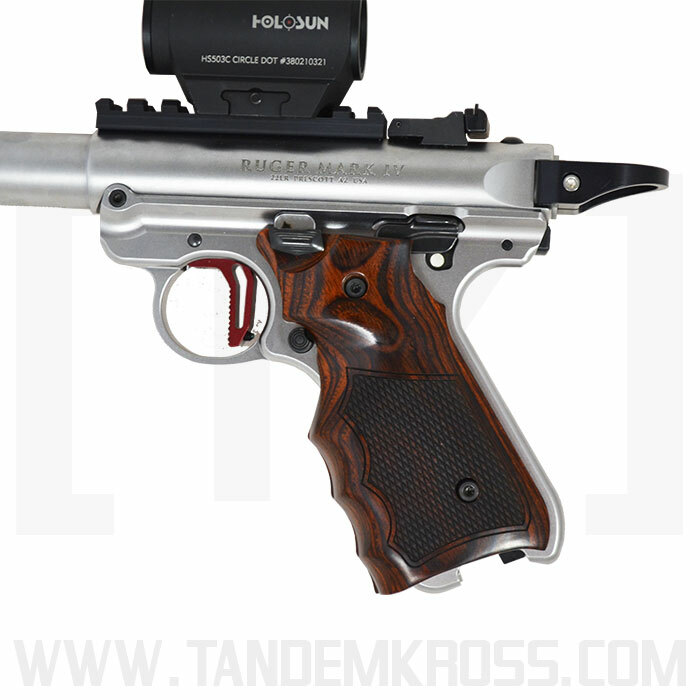 If you find the factory grips on the Mark IV too small for your liking, you should consider this upgrade.